Warehouses have always been, at their best, physical spaces dedicated to the quest of keeping goods organized and the supply-chain moving. In the past, that task fell mainly to human workers. But in the warehouse of the future, human employees will increasingly work side-by-side with innovative warehousing systems that include WMS technology, EDI integration, and automated vehicles like Amazon’s Kiva Robot. The explosive growth of technology in the last quarter century alone has seen a radical transformation of the warehouse from a static, organized facility focused on storage, to a dynamic environment of rapid fulfillment. The careful, rehearsed rhythms of warehouse workers are being supplanted by the high speed dance of automation. The role of on-site staff is shifting from heavy lifting to sophisticated IT and support. Warehouses are changing, there’s no doubt about that. The most savvy owners and operators are doing everything they can to stay flexible and ready to roll with the punches. Here are a few of the systems and technologies you can expect warehouses to incorporate in the coming years. EDI revolutionized the world of shipping and logistics when it was first introduced. Ever since then, we’ve been hungry for faster, more data-driven communication between all of the components in our supply chain systems. New technology is expanding the possibilities of that communication further than we could have imagined even 10 years ago. Nowhere is that disruption and opportunity going to manifest itself more fully than in the warehouse of the future. Imagine a warehouse where every item on every shelf, even the shelves themselves, not to mention the floor, lights, thermostat, doors, and windows, are all loaded with sensors, and are all in constant communication. Rather than relying on connectivity between different organizational systems, we’ll soon find all of our inventory directly connected within a unified system. Those concerned with the changing shape of employment in the warehouse sector are quick to remind technology advocates that some tasks (gift wrapping, etc.) will continue to require the human touch for the foreseeable future. Forward thinking logistics experts might counter that even humans could get a big boost by integrating some of the robot’s technological advantages into their own work. Wearable technology is already in play in many warehouses, in the form of ring scanners and the like. These powerful tools enable integration with the emerging IoT within the warehouse, to help staff work more efficiently to meet the increased demands eCommerce has made on fulfillment systems. In the era of same-day delivery, every technological advantage a worker has access to can shave precious seconds that add up to serious time and money saved. The next generation of wearable tech will feature Siri-style voice control and heads-up displays to guide workers for faster more accurate picking. Advanced scanners, built directly into wearable computers, will automatically sync with and update an item’s information, without the need for manual data entry on a tablet. These systems will seamlessly integrate with the sensors described above to ensure every piece of the puzzle, from automated vehicles to human pickers on the floor moving to repack a damaged box (and even the damaged box itself), know what’s going on around them at all times. Nobody can escape the green revolution that’s sweeping the world right now, from consumer goods to 3PL, and frankly, it’s for the best. A new awareness concerning environmental impact and sustainability is prompting industries across the board to reevaluate themselves, and 3PL and warehousing are no exception. New warehouses are being designed to incorporate the latest in energy efficiency — and many envision facilities with net positive energy usage thanks to solar panels and wind turbines built into the layout. 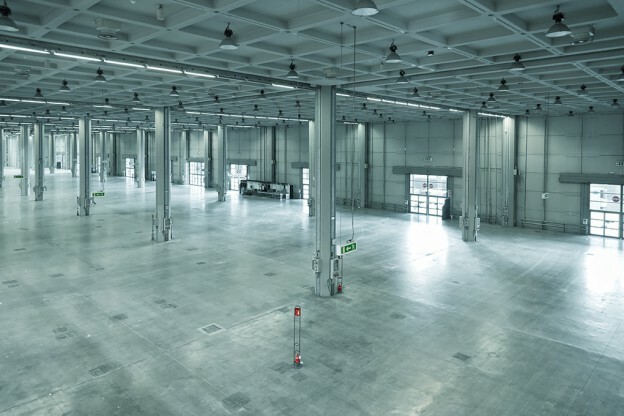 In fact, someday your green warehouse might generate enough power to charge your forklifts, autonomous vehicles, and electric delivery vehicles on-site. Location needs for new warehouses will also change as transportation shifts away from fossil fuel-based systems towards rail service and other more efficient technologies. As a network of new transportation systems develops, new hub locations will emerge and attract new warehouses.